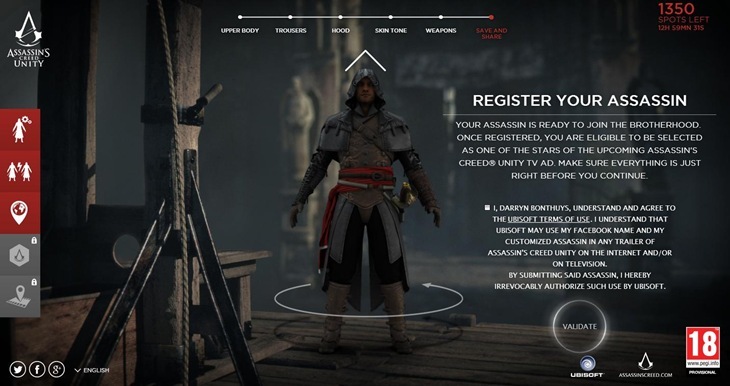 Assassin’s Creed: Unity may be many months away, but in the meantime, you can create your assassin on a website that Ubisoft has set up. And it’s pretty neat. So what’s the point of all this then? Well you can only make so many assassins every day, with Ubisoft selecting the 50 best based on votes. Should your assassin make it through that second round, you could find your creation starring in the next Assassin’s Creed Unity trailer. As I said, rather neat. 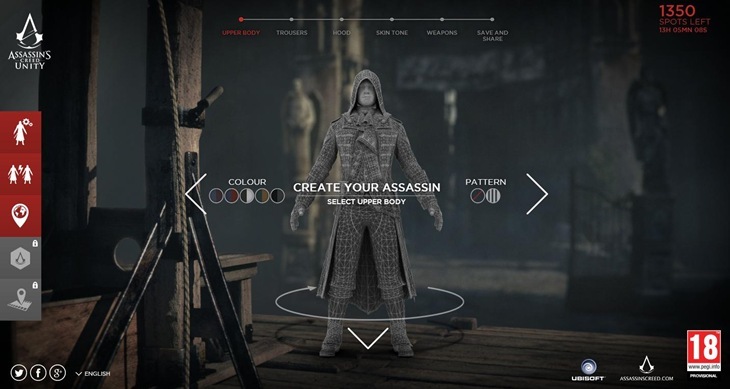 Try for yourself on the Assassin’s Creed Unity website. You (Or your digital creation) could win 15 minutes of fame, which based on my experiences of LA and gawking at its rather odd inhabitants, is what everyone wants these days.